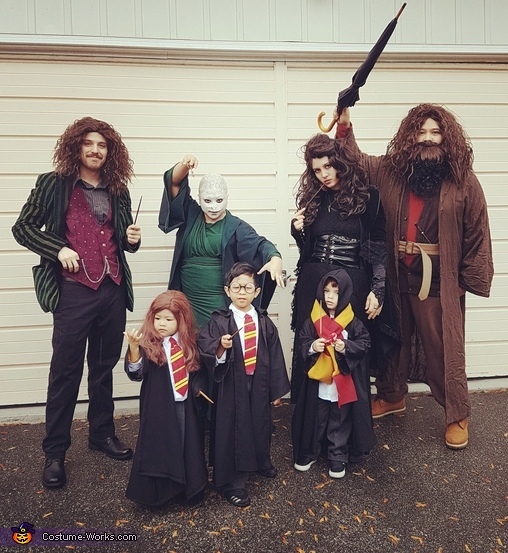 This homemade costume for groups entered our 2018 Halloween Costume Contest. All of the costumes are diy and sewed by one of our grandmas. The fabric was bought at fabricland and made into skirts, scarves and robes and the wands were diy too from chopsticks and paint.